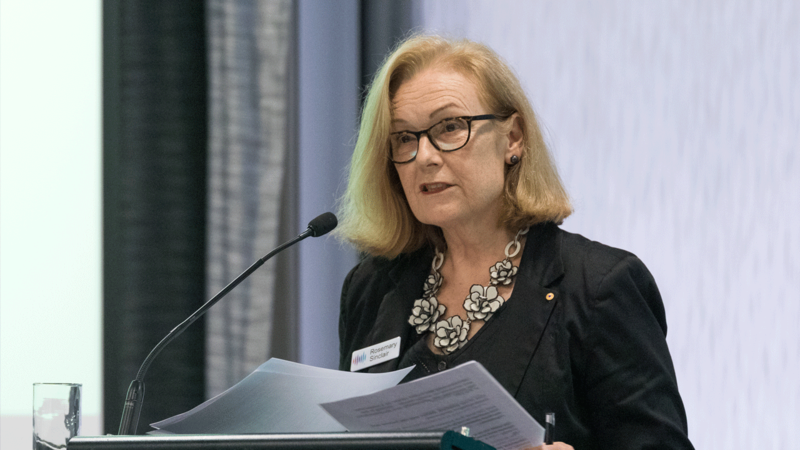 This is the presentation slide deck that our Director of Research Lynne Gallagher gave at the Victorian Pricing Forum in April 2018. 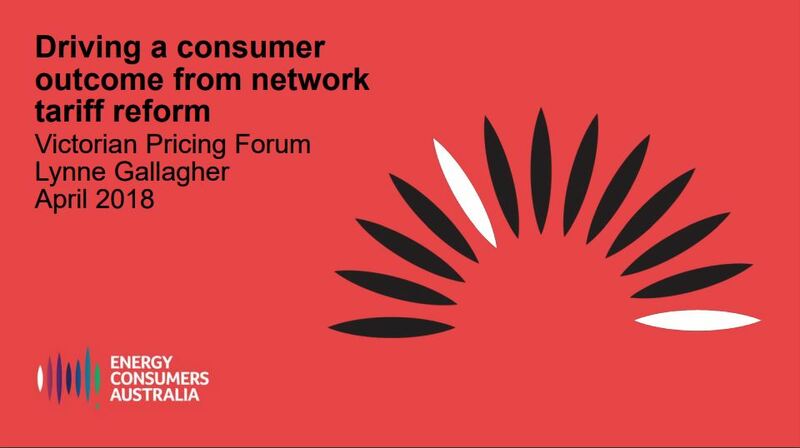 The topic of the presentation was Driving a consumer outcome from network tariff reform. The full slide deck can be read here. 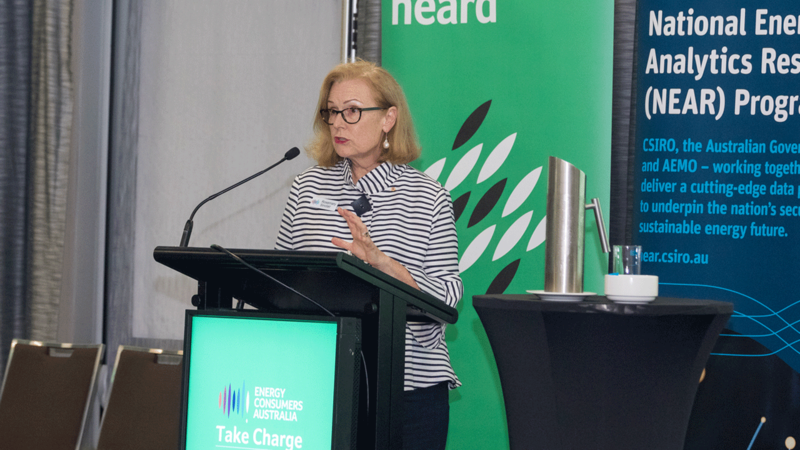 Energy Consumers Australia promotes the long-term interests of consumers with respect to the price, quality, safety, reliability and security of supply of energy services.